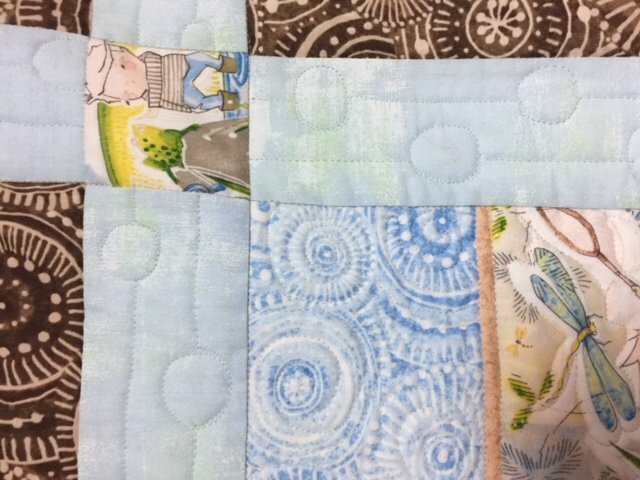 This class with Cindy Biermann will take you through learning to use your domestic sewing machine to quilt your own quilts using the free motion quilting technique. We will discuss and practice techniques, and trouble shoot tension and thread choice issues. Sandwiching methods, quilting designs, and your questions will be discussed and then share best practice techniques and resources. Your class fee will include a kit provided by Cindy that will include a quilting machine needle, practice pieces, and other odds and ends. Free motion quilting skills don't come quickly. There is lots of practice involved but Cindy's teaching method will hopefully reduce your frustrations and move you forward to beginning a new adventure in quilting. If you like, bring a SMALL project (table runner or place mat sized) to begin quilting at the end of class. Bring your lunch or order out.